Heat oven to 425°F. Line large cookie sheet with Reynolds® Parchment Paper. 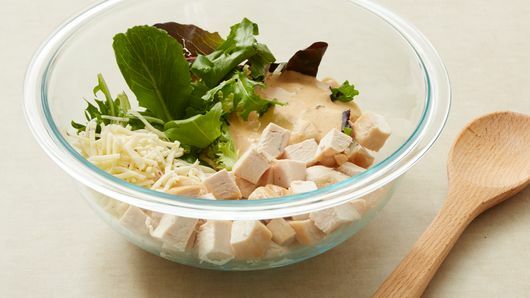 In large bowl, toss chicken, greens, cheese and dressing. Unroll dough on work surface; press into 12x10-inch rectangle. With pizza cutter or knife, cut into 4 (6x5-inch) rectangles. 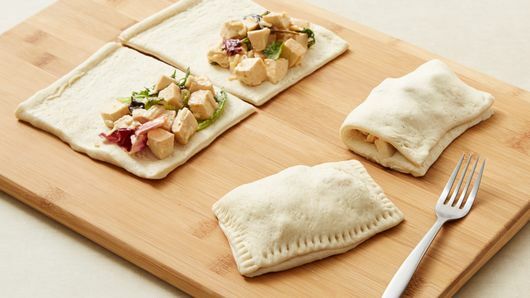 Spoon rounded 1/2 cup chicken mixture onto half of each rectangle, spreading to within 1/2 inch of edge. 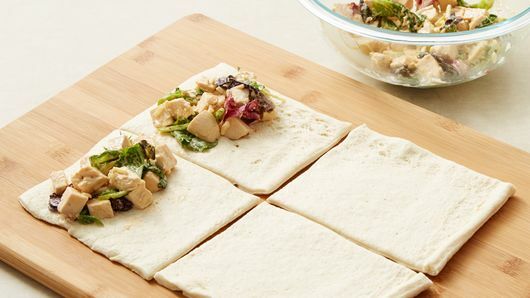 Fold dough in half over filling; press edges firmly with fork to seal. Place on cookie sheet. 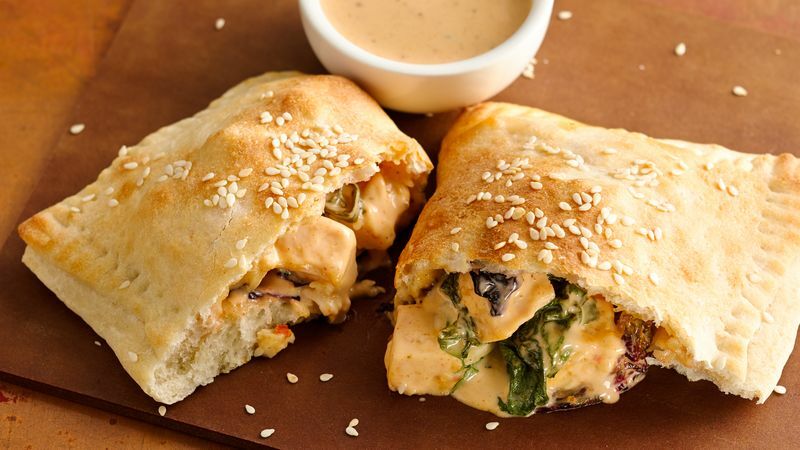 Sprinkle 1/4 teaspoon sesame seed over each calzone. Bake 9 to 13 minutes or until golden brown. Serve warm with additional dressing for dipping, if desired.